LoveBlock: Get up to 90,000 DDD tokens from the dating platform! I got in contact with Brenda about LoveBlock, a Decentralized Database for Dating, based on blockchain. This dating platform will improve the dating industry and change the way of how you will find love. How? It solves two major problems: Fraudulent activities by scammers and unsuccessful matchmaking for users by utilizing the advantages of blockchain and a social concept. The project is initiated by the dating app Luxy whose team has the experience and know-how of introducing this protocol successfully to the market. And they’ll create a new dating and connecting ecosystem based on Graphene, to introduce a new verification and security system. Therefore, scammers will be exposed and recorded with their linked data permanently. Successful matchmaking will be ensured via the creation of Dating Circles that bring like-minded people together. To ensure the decentralized interaction they developed a reward system to incentivize respectful behavior and compensate users when contributing to the community. Their system won’t operate simply on an autarkic environment with its own user pool. The foundation will reach out and connect with other dating providers to exchange the data of scammers. With this approach a great security gap can be closed in which LoveBlock plays the key role and takes Online Dating to a sound future. And there’s more! Imposters and people with untrue purposes will have no place to hide anymore. Everyone can find their dream partner in a more secure and efficient way across different dating providers. For further details about the project, visit their website and check out the Whitepaper. Their token DDD – Decentralized Database for Dating – is the currency for interactions on the LoveBlock Blockchain. The DDD token is a transferable ERC-20 compliant digital utility token deployed on the ethereum network. LoveBlock will generate and issue the aggregate amount of 100 billion DDD. Basically, if you are acting among the Loveblock ecosystem, you need DDD tokens. And each stakeholder will spend DDD tokens or be awarded DDD depending on the services purchased or provided. Further, the dating app Luxy will be the first DApp who will use DDD as currency in their application. How to get the free DDD tokens? LoveBlock is working closely together with Luxy, the dating app for successful and wealthy singles, and can utilize valuable insights to ensure its project success. Note: You’ll receive your personal code to invite friends after you signed-up successfully. And the personal token limit is 90,000 DDD tokens. Users will soon be able to view their tokens in their ERC-20 wallet. But until that time, you can check out your balance when signing into the LoveBlock website. The coin airdrop campaign was very successful and is now over, even before the end they were planning. Create a noteworthy Blog/Media post, for example on Medium, the Bitcointalk Forum, YouTube, Reddit, Facebook, Hacker Noon, relevant News Websites and more. Fill out the simple bounty form to inform the LoveBlock Team of your posting. One of the LB Team will check the quality and reach of your posting. If your post meets the requirements, you’ll be credited with the relevant amount of DDD coins (As shown in the regulations listed in full at https://medium.com/@theLoveBlock/bounty-rules-304164f8c54e). You can earn up to 10,000 DDD per video, up to 8,000 DDD per article and you can earn up to 3,000 DDD tokens for each blog posting! Exceptional content may be eligible for even greater rewards at the discretion of the LB Team. There is a limit though, once the tokens for the creation are given away the LoveBlock Bounty program will end! There is no guarantee of any tokens being earned – the decision on the quality of the content will be at the sole discretion of the LoveBlock Team. Also, content in any language is welcome! New airdrop underway! To get involved in LoveBlock’s Airdrop Giveaway, follow the simple steps below. And you can earn up to 2,900 DDD per day for free. Share/Retweet their Daily Post and earn 200 DDD – DOUBLE this to 400 DDD by participating on Facebook AND Twitter! In addition, one participant each, on Twitter and Facebook will win an extra 2,500 DDD 3 Times a week!!! To earn your rewards, join the Official LoveBlock Telegram group and direct message @LoveBlock_Anish or an active admin so they can send you your Free DDD Tokens!!! Be quick – The Airdrop will run every day for 2 weeks and is limited to 1 Million DDD. And each day the airdrop has a limit on the number of shares/retweets that can earn tokens – So be quick! 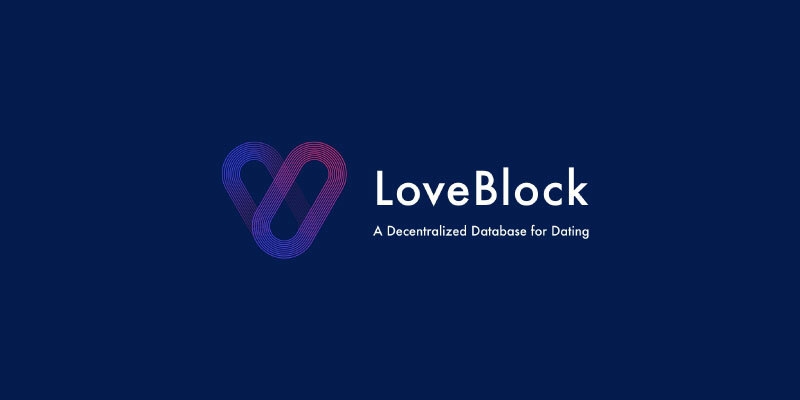 LoveBlock is a Decentralized Database for Dating. And they want to change the way of how you will find love, by solving the major problems of online dating.